Visit Cape Haze, Florida for the Ideal Beach Vacation - Located on the west coast of Florida, Cape Haze borders the Gulf of Mexico. This subtropical location is the quintessential beach vacation destination, so if you are into surf, sand, and sun, then Cape Haze is your perfect spot. There is a lot to do in Cape Haze that will round out your ideal beach house rental experience. Learn more here! Exceptional villa waiting for you to be on a Gulf Shore Vacation! Visit Cape Haze, Florida for the Ideal Beach Vacation - Located on the west coast of Florida, Cape Haze borders the Gulf of Mexico. This subtropical location is the quintessential beach vacation destination, so if you are into surf, sand, and sun, then Cape Haze is your perfect spot. There is a lot to do in Cape Haze that will round out your ideal beach house rental experience. First and foremost, head to the beach. 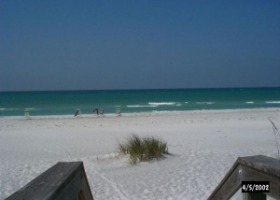 Gulf Coast beaches are world-renowned for their white sand and emerald water. When you rent a Cape Haze beach house, you are putting yourself within easy reach of the most coveted resource in Florida; a stretch of sunny shoreline. Soak up the sun and enjoy the warm sand and cool Gulf waves. When you're done, bundle up your beach towel and head back to your beach house rental to enjoy dinner on the deck, which features a view of the water and cool breezes off the Gulf to temper the warm day. Charters for exploration and fishing can be found at the Cape Haze Marina. Another Keeper Charters has served the area for over ten years. They offer a wide range of excursions, hunting anything from red snapper to sharks. Specific fishing charters are only available during the fishing season of each variety, so make sure you go when your fish is in season. For those who want to share their love of fishing with their family, Another Keeper Charters offers family fishing trips, where you can start a fishing tradition. No matter which charter you choose, keep an eye out for dolphins, manatees, and sea turtles during your trip. Best of all, you can haul your catch back to your Cape Haze beach house for preparation, and you can freeze the remainder to enjoy throughout your stay. If you want to interact with wildlife that isn't destined to end up on your hook, you can visit Don Pedro Island State Park. This haven for endangered species is home to West Indian manatees, gopher tortoises, bald eagles, and American oystercatchers. You're likely to see many native species as you sunbathe, swim, snorkel, and beach comb along the one-mile white sand beach, and as you hike along nature trails throughout the 100 acres of traversable land. The park can only be reached by private boat or ferry, so you will need to arrange travel with a water taxi service, like Captiva Cruises. If the vacation you envision has you spending every possible minute either at the beach, on a boat, or in the waves, then don't hesitate to book a Cape Haze beach house. You will love the convenience of having your own home away from home right on the shore.